The FINN T170 HydroSeeder boasts a top-notch 1,500 gallon tank working capacity engineered to tackle a wide array of mid to larger-sized hydroseeding projects. From large residential and commercial properties, highway roadsides, industrial parks, sports fields, mine reclamation sites and more, the T170 is an economical choice for optimum power, performance and production. FINN developed HydroSeeder technology in 1953, and we’ve been the industry leader in quality and innovation ever since. With the FINN T170, you have proven and reliable FINN quality for all your hydroseeding applications. 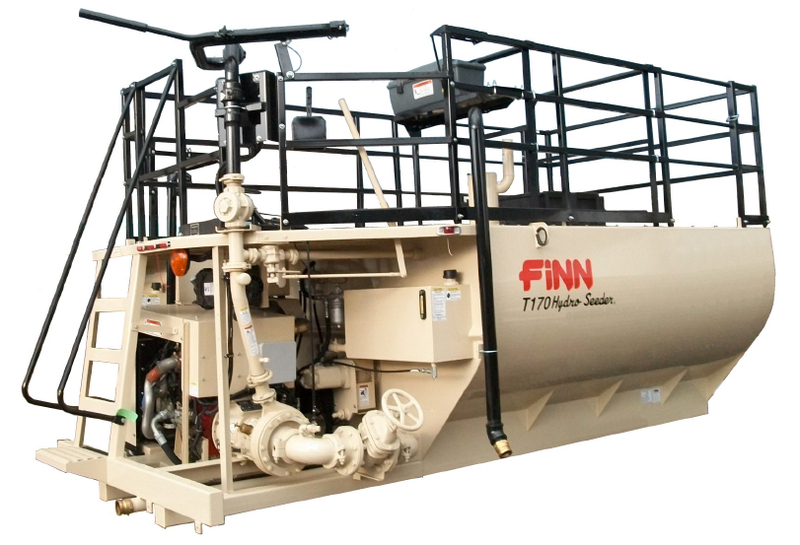 The FINN T170 HydroSeeder features an unequaled engine and pump package resulting in utmost pump pressure, slurry flow and high performance capabilities. The T170 is equipped with the time-tested and field proven “clump” technology. The “clump” (clutch/pump) technology uses a unique single shaft design to maximize mechanical efficiency, making it the most efficient pump available. The T170 is all about operator convenience. 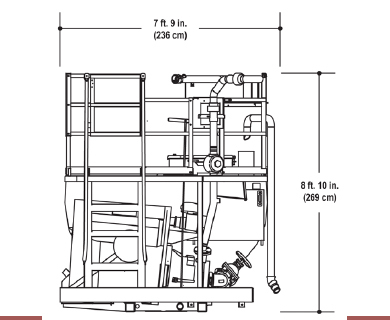 The discharge boom is located in a centralized location to increase operator comfort and rear sweeping pattern; an engine control panel is integrated into the discharge boom tower featuring a new electronic display panel, as well as engine start/stop, throttle switch, and safety horn; a loading hatch with a larger opening, rotated lid and stainless steel bag cutter enables a simpler, more efficient loading process; and enhanced operator platform and access ladder are perfect for greater comfort and accessibility. Also standard on the T170 HydroSeeders are the conveniently located fill port for sump filling and the heavy-duty suction line gate valve. Another option in the 1,500 gallon tank capacity series is the model T170 SUPER. It features an unequaled engine and pump package resulting in utmost pump pressure, slurry flow and high performance capabilities. With a John Deere 4045T (4.5L) Tier III compliant industrial water-cooled, 125hp turbo diesel engine, the T170 Super is an economical choice for optimum power, performance and production. Operator convenience and comfort is also a hallmark of this unit. PUMP DRIVE: In-line single clutch/pump shaft design with over-center clutch. Pump drive is independent of agitator drive. AGITATION: Mechanical paddle agitation and liquid recirculation. *Loads per acre based on an application rate of 1500 lbs. mulch/acre. *Working weights are approximate and do not include options or stored materials. Working weights assume maximum tank liquid capacity and maximum granular solids material capacity.